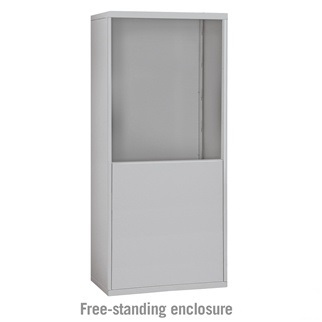 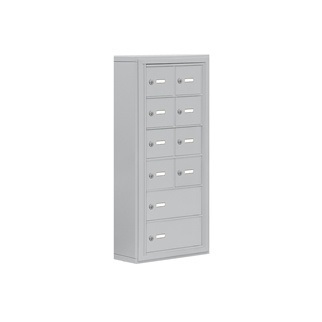 Free-standing units provide the most convenient way to install cell phone lockers where surface or recessed mounted applications are not an option. 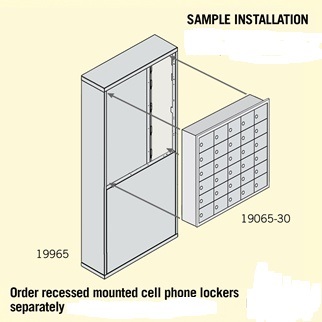 Cell phone locker standing enclosure is constructed of heavy duty aluminum designed to accommodate recessed mounted cell phone locker units. 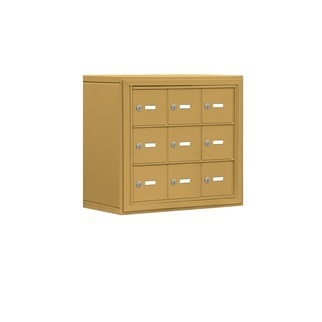 Featuring your choice of Aluminum, Bronze, Gold or Sandstone finish to match the cell phone locker. 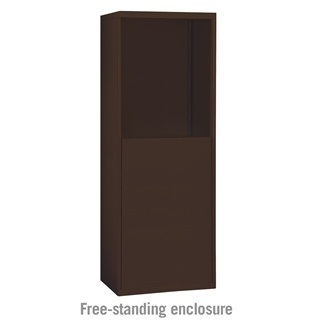 Recessed mounted cell phone lockers fit effortlessly in the enclosure and comes with mounting hardware. 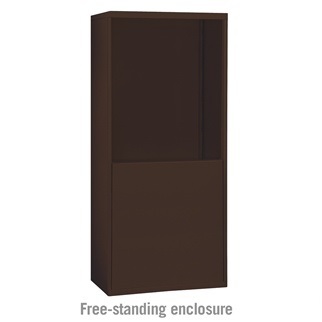 Shop cell phone lockers, free-standing enclosures and other great commercial building products online now for high-quality solutions at the best value.